This book would serve as an ideal guide for B.E.. B.Tech., B.S., B.Sc, B.C.A., undergraduate students of Computer Science and Engineering, Information Technology, Electronics and Communication Engineering who wish to take up projects on Blockchain, Bitcoin and Cryptocurrency Technologies. Students pursuing postgraduate course in Science and Engineering, M.E., M.Tech., M.S., M.Sc., M.C.A. students will find this book useful for their projects. 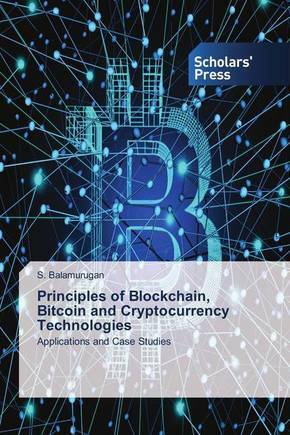 Research Scholars working in the area of Blockchain, Bitcoin and Cryptocurrency Technologies will find this book as a handy reference guide for their M.Phil., Ph.D. D.Sc., and other post-doctoral research works. Software Engineers involved in IT and ITES sector specifically on Blockchain, Bitcoin and Cryptocurrency Technologies domains, would find this book as a useful resource. As a word of conclusion I believe that the reader will find this book as a really helpful guide and a valuable source of information about Blockchain, Bitcoin and Cryptocurrency Technologies.